Wild Bread Chatroom - New to sourdough starters cold house need advice!! 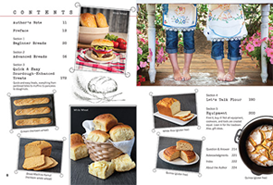 For the first few weeks while you're getting your mother established--until she is bubbly and active, you'll want to focus on recipes from the Quick & Easy Sourdough-Enhanced Treats Section on pages 172-189. These recipes use just 1 to 2 cups of mother, with the exception of the Sourdough Chocolate Cake on p. 188, which uses 5 cups. Using these recipes, you'll have enough mother to make more than one batch a week, and you can divide your mother up and freeze (see tip on p. 174), to use for future batches of quick breads. Just make sure you always save 1/2 cup of your mother to keep it going, per the instructions on p. 28. 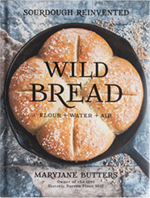 Once you're ready to bake bread with your bubbly, active Counter Mother, all the breads in the Beginner Breads Section, except Pizza Crust on p. 48, are designed to use all of the mother accumulated in a week, minus the 1/2 cup needed to keep your mother going for the next week, of course. Once you move on to the Advanced Breads Section, you gain a lot more flexibility to bake more than one batch of bread per week--you simply need to remember to put back in what you take out of your Refrigerator Mother. This means that if you wish to bake twice per week, you need to feed your mother double the recommended amount each week. For supplemental information intended to address common questions I've been asked, check out the forum titled "Ashley's DON'T-do LIST" (7th light blue heading down on the main chatroom page). Thank you!! I am so nervous and excited to get started!! !